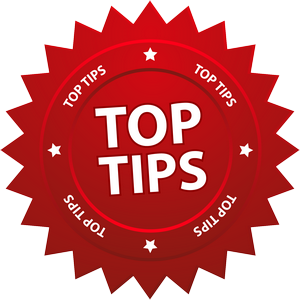 This is the second article outlining the Top 10 tips for accountants giving advice after the accounting exemption expires June 30, 2016. You must be very clear in explaining the risks and documenting that the course of action is against your advice. Explain the risks in language the client understands make a contemporaneous file note and have the client sign it. Fwgs solution – an example of this for accountants is recommending an SMSF and closing down an existing fund that has insurance(s). All clients are given the option of a free twenty minute consultation with an appropriately authorised financial adviser. Clients don’t know the difference between information, general advice, personal advice and execution-only services. If you don’t give the appropriate explanations and warnings or you are unclear, then you could be found liable for advice or activities that you had not intended to provide. Fwgs solution – Accountants will only be authorised to set up or wind up and discuss income streams. Make sure template forms and documents about strategies, products and risks are appropriate to the client you are advising. It is very difficult to convince us that you have selected the right strategies and financial products for a client if the documents contain errors, are missing information or contain copious amounts of irrelevant material. You will also have some trouble convincing us that the client understood your documents if they contain pro-forma jargon or complex concepts. Tailor documents to your client’s financial literacy. Statements of Advice must be clear, concise and effective. Fwgs solution – Every client has a unique online identifier based on the name of their SMSF. The temptation to template is directly related to the amount of time it takes to produce a SoA. Our web based software captures the information you have already gathered in the Needs Analysis and pre-populates the SoA leaving you to outline the client’s objectives, make your recommendation, conduct a comparison with the existing super funds and add in the costs. Our system is simple, clear and cost effective. Finance Wise Global Securities Pty Ltd has a unique solution for accountants requiring an authority to advise on SMSF’s once the accounting exemption expires please email the team at info@fwgs.net.au to find out more. Source: SMSF Adviser Sept 9, 2016.